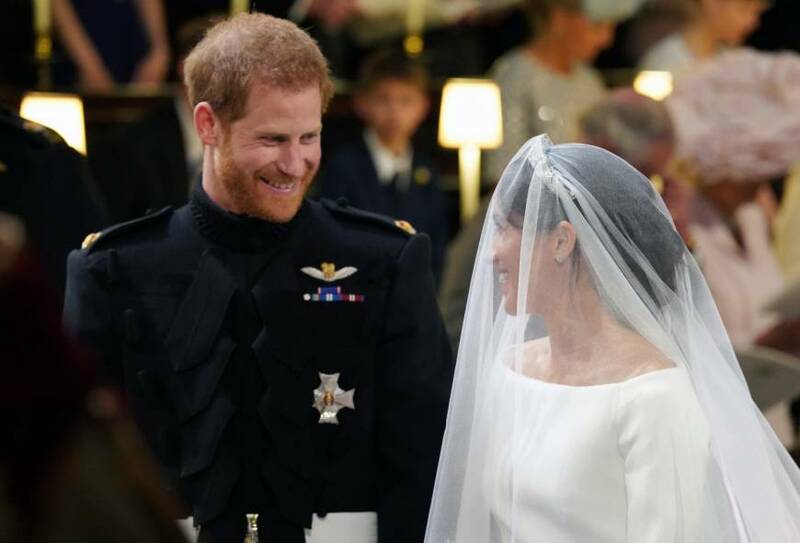 Saturday’s wedding of Britain’s Prince Harry and Meghan Markle represents a sign of shifting royal traditions, given the bride’s unprecedented profile: The former actress is American, biracial and once divorced. In Japan, the royal wedding is a hot topic treated as a cause for celebration on entertainment shows and in newspapers. 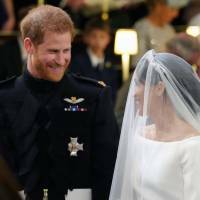 However, many in the nation have probably not seriously discussed the various issues Markle faced ahead of the ceremony at St. George’s Chapel at Windsor Castle, west of London. For those with expertise in Japan’s Imperial system, the inclusion of a foreigner is another reminder of the still-conservative nature of what is believed to be the world’s oldest monarchy. In Japan, a woman like Markle would not even be a candidate for a male heir to the throne because the Imperial system is still viewed by many as a symbol of its politically sensitive sense of nationalism, particularly for those who lean to the right, experts say. “It’s impossible. It’s not written in the Imperial House Law, but no divorcee would be considered a possibility,” said Hideya Kawanishi, an associate professor of Japanese history at Kobe College who is familiar with Imperial affairs. Before and during World War II, the emperor was at the center of Japan’s growing nationalist fervor and was worshiped as a living Shinto god. After the war, Japan was democratized, and the distance between the Imperial family and the public was dramatically narrowed. Today, however, many Japanese still regard the family as awe-inspiring, Kawanishi said. “I myself feel it’s OK (for an Imperial family member) to get married with a foreigner. But in Japan, some people are still very conservative,” Kawanishi said of the nation’s right-leaning politicians and voters. “They are a minority, but they are very vocal” in politics, he added. Yuji Otabe, professor emeritus of Japanese history at Shizuoka University of Welfare, said that in Japan, divorce and international marriage are still not as common as in many Western countries, including Britain. In fact, unlike many European royal families, the official history of the Imperial family contains no record of marriages involving foreign nationals going back for hundreds of years. But according to that record, the mother of Emperor Kanmu, who reigned from 781 to 806, was a descendant of a Korean immigrant family. Otabe said that through the process of modernization since the late 19th century, Japanese have worked hard to maintain a sense of nationality to avoid being overwhelmed by the West. “Japan has overcome the weakness of being a latecomer modern state by keeping the people united with a sense of nationalism,” Otabe said. “Somewhere in mind, I think people still fear this sense of nationality could be lost” if Imperial traditions are dramatically changed. Both Kawanishi and Otabe believe that Japan’s monarchy has become more casual in recent years and that the criteria for screening potential spouses has become less and less strict. In 1959, Emperor Akihito became the first crown prince to marry a commoner, now Empress Michiko. Since then, the family has worked to narrow its emotional separation from the public. 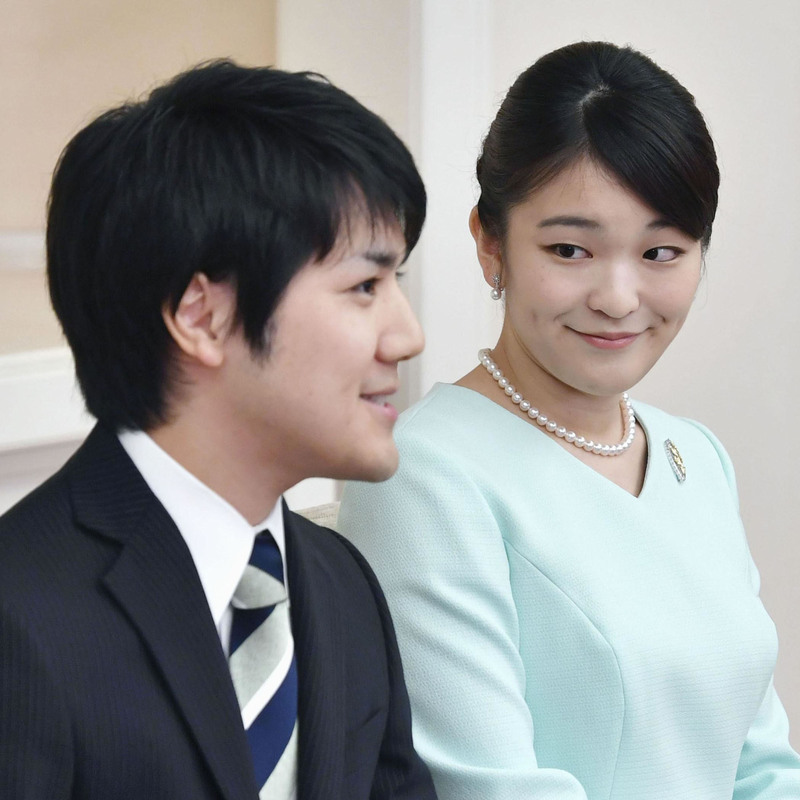 Last year, Princess Mako, the eldest granddaughter of the Emperor, surprised the nation by announcing she was set to become engaged to former college classmate Kei Komuro, who grew up without a father and is from a family that is not particularly wealthy. “Overall, the Imperial household is becoming more liberal, and it will be more like the British royal family in the future. That’s why Mako is marrying someone like Komuro,” Kawanishi said. Later in 2017, a gossip magazine reported that Komuro’s mother had failed to repay a ¥4 million debt, resulting in trouble with the lender. This reportedly prompted the Imperial family to postpone — if not suspend — a ceremony to formalize the engagement. Kawanishi said the fact that the Imperial Household Agency was not aware of the financial trouble is proof the agency didn’t check Komuro’s background as strictly as it would have in the past. The Chrysanthemum Throne can only be succeeded by a male heir, and female members are obliged to leave the family upon marrying a commoner. So in general, the screening of potential partners isn’t as strict for women as it is for men, Kawanishi added. Naotaka Kimizuka, a professor at Kanto Gakuin University who is an expert on modern British history, believes Japan’s monarchy has failed in its public relations strategy. The British royal family actively tries to publicize its activities and history to win public support. It even sells products featuring its members, Kimizuka noted. But the Imperial family has never engaged in such promotional activities, Kimizuka said. Several factors are likely behind the decision to maintain a low profile. First, given the dark memories of Japan’s militarist past, much of it centered on the Imperial system, the postwar Constitution strictly bans emperors from engaging in political activities. Thus their main activities have long been limited to nonpolitical ceremonies and events. Second, during the Occupation, the Imperial family was deprived of most of its assets and estates. The family now lives on government expenditures. “Officially, they can use their money freely, but it all comes from taxpayers. The fact, however, is that they can’t use it as they like,” Otabe said. That’s surely one reason why members of the Imperial family are reluctant to assert their rights as individuals in public, he said, pointing to the sharp contrast with Britain’s royals. “British royal family members prioritize the freedom of individuals as long as it won’t pose a problem for the state. That’s a big difference with Japan,” he said. “I think it would be nice if the Japanese Imperial household gradually changed, learning from role models in other countries,” he said. Staff writer Sakura Murakami contributed to this report.